Badge Pre-registration for Gary Con XI opens on Saturday July 28th, 2018 at Noon CST! You are invited to join the Gygax Family as they celebrate the life of their Dad and the Father of Role Playing Gaming, Gary Gygax. Gary Con X was amazing, but 2019 promises to be packed with even more gaming greatness! We are welcoming back special guests Mike Mearls, Larry Elmore, Erol Otus, James M. Ward, Marc Miller, Tim Kask, Satine Phoenix, Jeff Easley, Mike Carr, Stephen Chenault, Merle Rassmussen, Elisa Teague, Bill Webb and many more. We will continue to host great events from Legends of Wargaming, Adventurers League (including specials, author only and debuts), You Too Can Cthulhu, Pathfinder Society, not to mention all the Featured Events from our Guests. To add to the excitement in 2019, we are proud to welcome. Steve Jackson, Joe Manganiello, and Jennell Jacquay as new Guests for 2019. Thanks to all of you that have come and celebrated with us over the past decade. Gary Con keeps getting better each year and more people keep bringing their friends to join in the fun! So don’t delay! Badges are limited, and the premium badges will sell out fast! 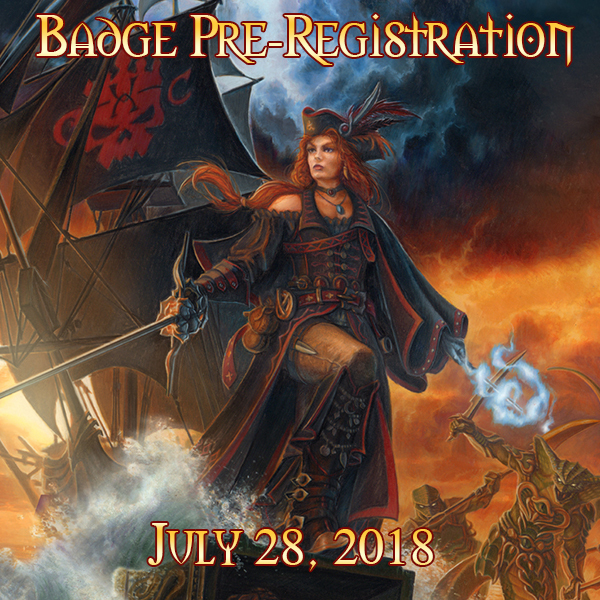 Get your badge by visiting the Table Top.Events website (https://tabletop.events/conventions/gary-con-XI/badgetypes), logging in and selecting the type of badge you want on Saturday, July 28th!